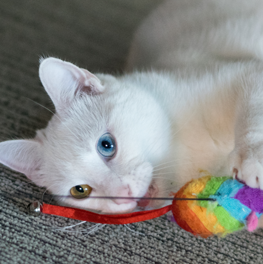 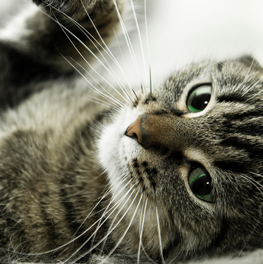 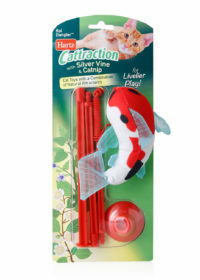 With the flick of your wrist, the Hartz Just For Cats Twirl & Whirl Wand becomes an irresistible target for curious kitties. 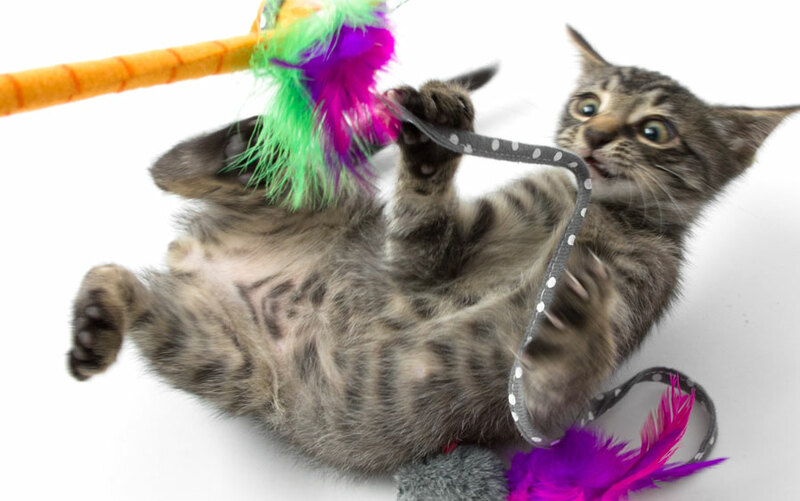 Designed to encourage playtime and bonding, this wand keeps cats agile and alert, while letting pet parents get in on the fun! 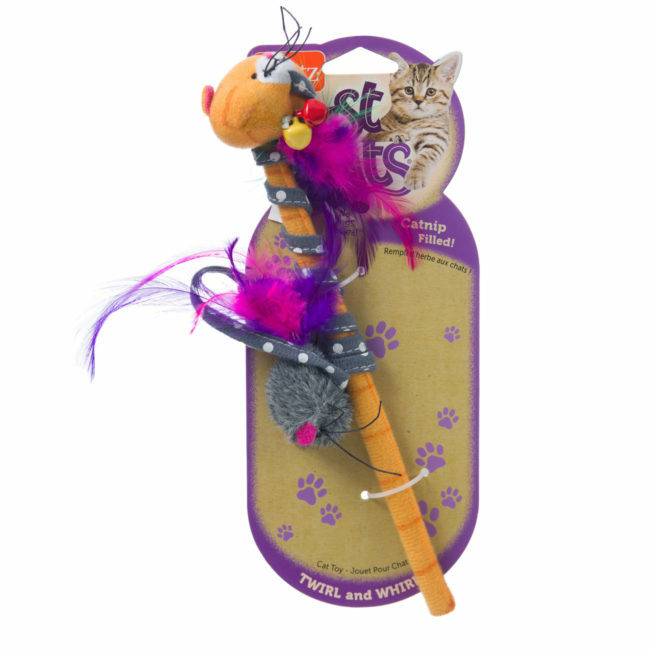 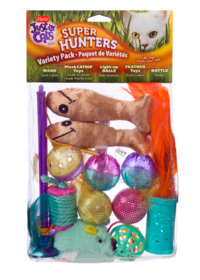 It features a variety of textures with feathers, bells and colorful designs to capture your cat’s attention. 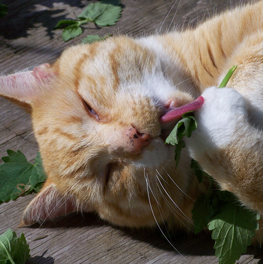 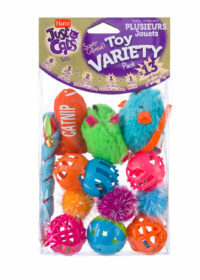 It even has a catnip-filled toy to keep your companion coming back for more pawsome action. 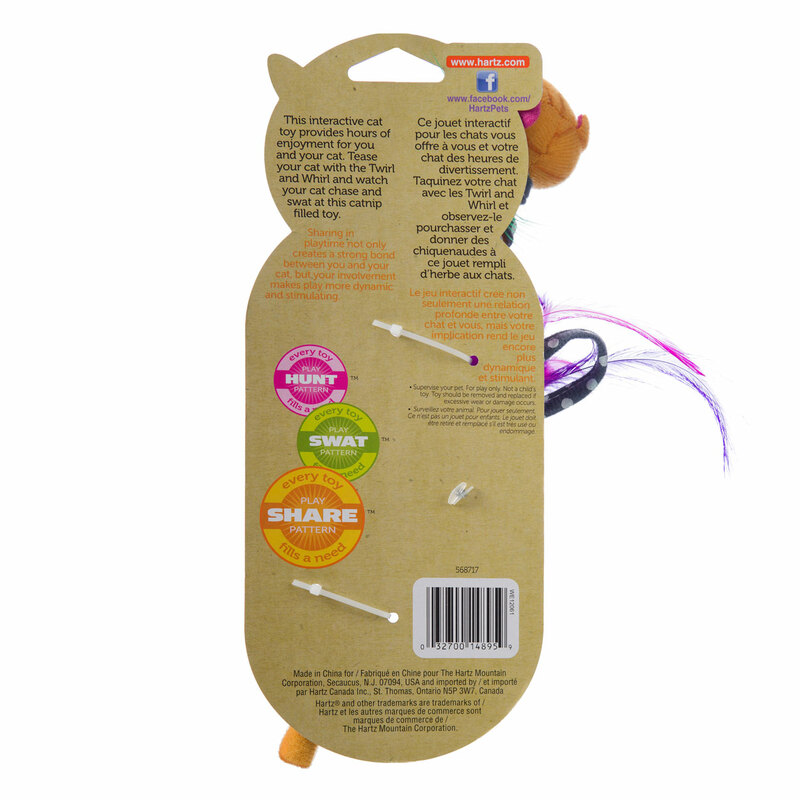 Simply dangle the attached plush, and even the most inactive cat will be up on all paws ready to swat and stalk.